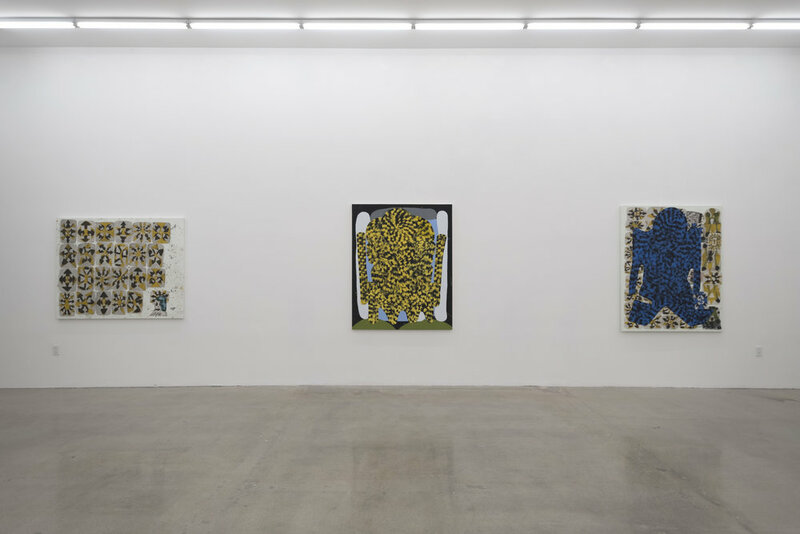 Los Angeles, CA – Zevitas Marcus is pleased to present Jabberwocky, an exhibition of new paintings and collage by Josh Jefferson. The exhibition will run from January 6 to February 24, 2018 with an opening reception Saturday, January 6th, 2018 from 5:00 – 8:00 PM. The title of Jefferson’s exhibition, Jabberwocky, references one of the great works of nonsense verse whose playful, whimsical rhyme gave birth to countless nonsense words and neologisms. Jabberwocky continues Jefferson’s exploration of collage as a way to build a visual language. His newest works are more assembled than painted. Jefferson begins by accumulating a disparate group of cut and drawn fragments that are then used as the building blocks for each completed painting. There is a feverish quality to the making of the work, as though Jefferson needs to flush out elements repeatedly to unveil their meaning. In Picking a Crown, the arranged four rows of six symbols are systematically stacked, exploring the inherent constitutional meaning of a crown, with one ultimately chosen as adornment and victor. In Jefferson’s work, the act of making takes place in real time, with Jefferson adapting and letting the constituent parts of a given work form organically. A shape that indicates a reclining figure in one work becomes a vase of roses in another. With his studio acting as a visual testing ground, Jefferson assembles and reassembles these malleable components, each time giving way to an entirely unique image. 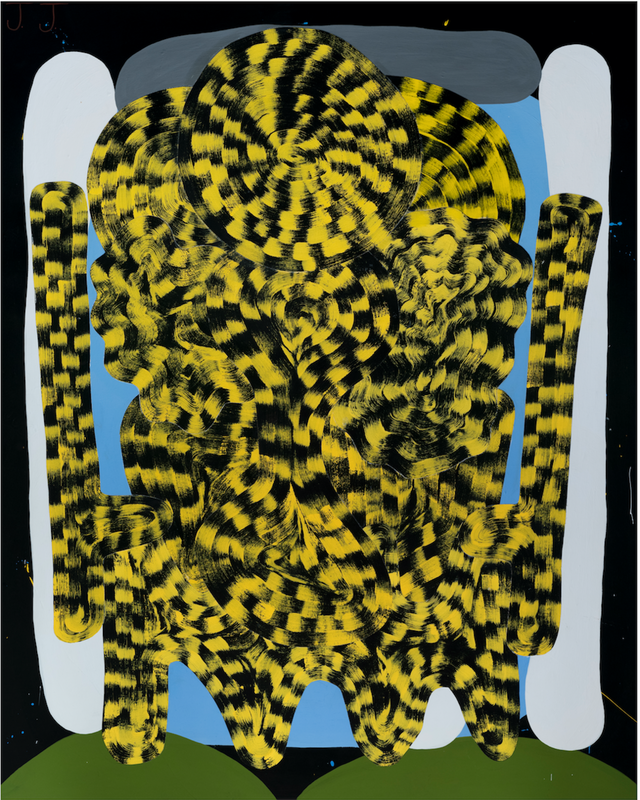 Pattered yellow and black pieces that make up the inner workings of Jerry Bear come together to construct the form of Moon Man before becoming the presence in The Shadow Knows. Jefferson has carefully crafted his unique terminology, rearranging workable parts to form entirely new scenes. Josh Jefferson has been the focus of numerous articles, including a full feature in the April 2016 issue of Juxtapoz. 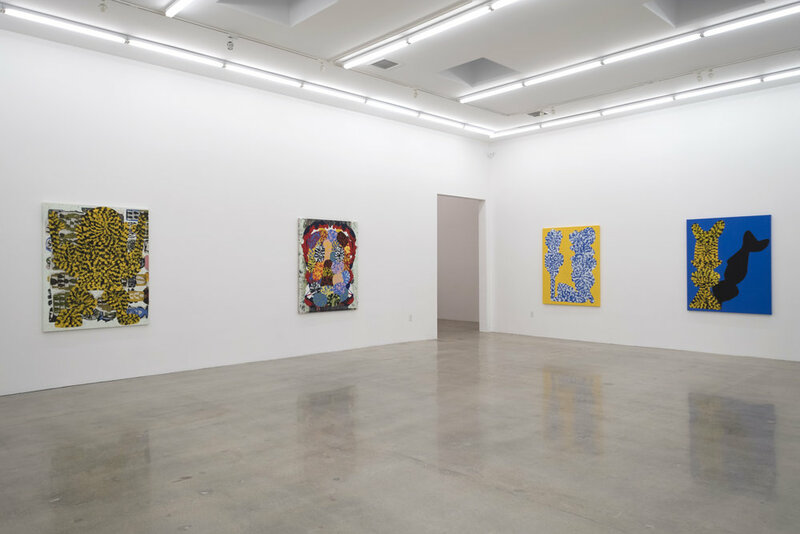 Recent exhibitions include one-man shows at Steven Zevitas in Boston, Gallery 16 in San Francisco, and TURN Gallery in New York City, as well as group exhibitions at ZieherSmith in New York City and here at Zevitas Marcus in Los Angeles. 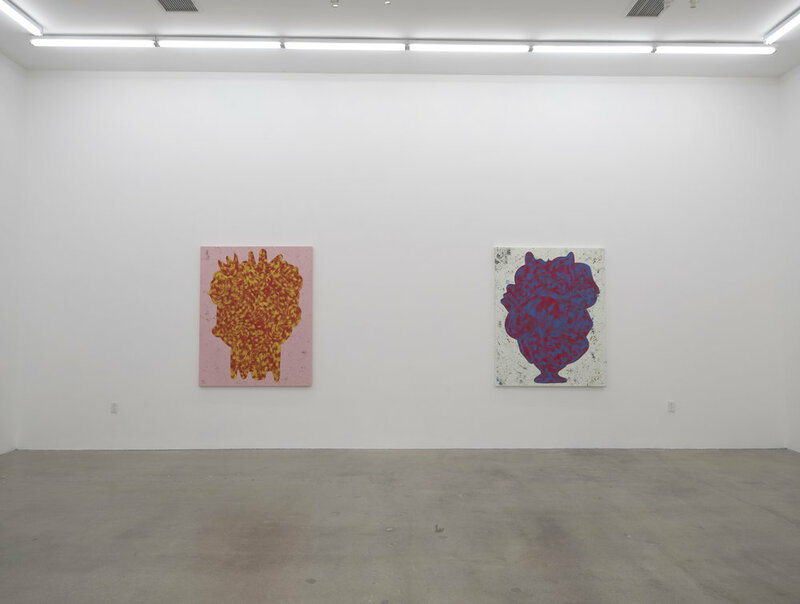 This is Jefferson’s first solo show at Zevitas Marcus.